Hard Rock International has unveiled plans to open its first London property inside the existing Cumberland Hotel in Marble Arch by summer 2018. In collaboration with glh Hotels, The Cumberland Hotel will be transformed into the 900-room Hard Rock Hotel London in time for a 2018 opening and will follow the entertainment brand’s global drive having announced ten new hotel projects in cities including Berlin, New York and Atlanta. The hotel will follow the theme of music appreciation with the entire property decked out in Rock n’ Roll memorabilia, as well as offering a new venue for local and international acts to perform. 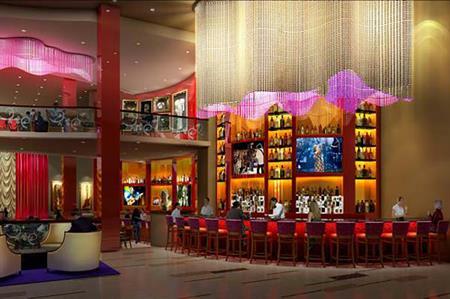 In addition to its 900 rooms, groups will be able to enjoy a new on-site Hard Rock Café, a full-service Rock Spa, a signature restaurant and sophisticated speakeasy bar. "From our foundation in 1971 with the opening of the first Hard Rock Cafe in London to the many days and nights spent at the legendary Hard Rock Calling festival in Hyde Park, London has always been a special city as the birthplace of our brand," says Hamish Dodds, chief executive officer at Hard Rock International. "We look forward to completing the circle and establishing the Hard Rock Hotel in London, a legendary musical city that brought the greatest styles of Rock to the world stage."